My plots are yellow. I'm thinking since the spots are in low areas they must have been drowning. Very well could be......All the rain may have also leached your N away . I haven’t done throw and mow but I put N out on my plots around the first week of December. The soil is sandy in places. Should I hit them again or should they be good until the end of the season? They look pretty green right now but I wouldn’t say dark green. 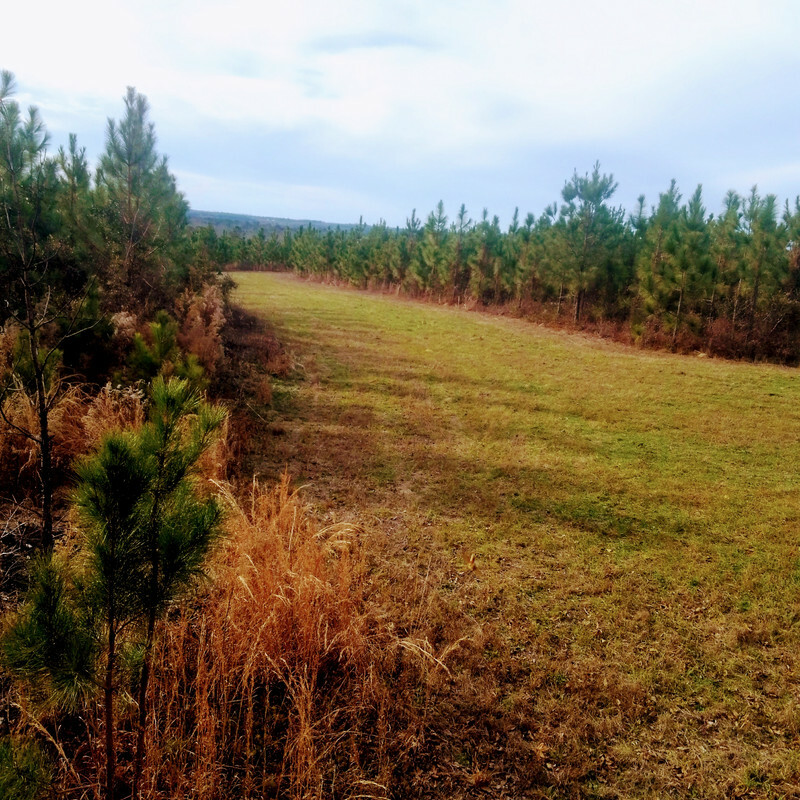 You'd need to put it out pretty soon to get much benefit out of it during hunting season. It usually takes about 7-10 days after a rain for it to really kick in and change the color of the field. Last edited by Turkey_neck; 01/06/19 04:45 PM. Would walk over a naked woman to get to a gobblin turkey! 21 does and little ones in the field this evening....I've got to have every doe in the neighborhood coming to my test plot. It's just a matter of time now....tick-tock....tick-tock.....tick-tock...…..
CNC I have been gifted around 20 bales of wheat straw that were used for fall decorations, any negatives to scattering it on my plots just to let it rot, over the summer? I don't see anything that it would hurt.....I suppose there's the chance that it might have some weed seeds in it or something but I don't think I'd worry too much about that with us just being food plotters. Just like clockwork……A pretty good 6 point showed up a few days ago. He messed up this evening just before dark. Got the itch off of my trigger fanger. 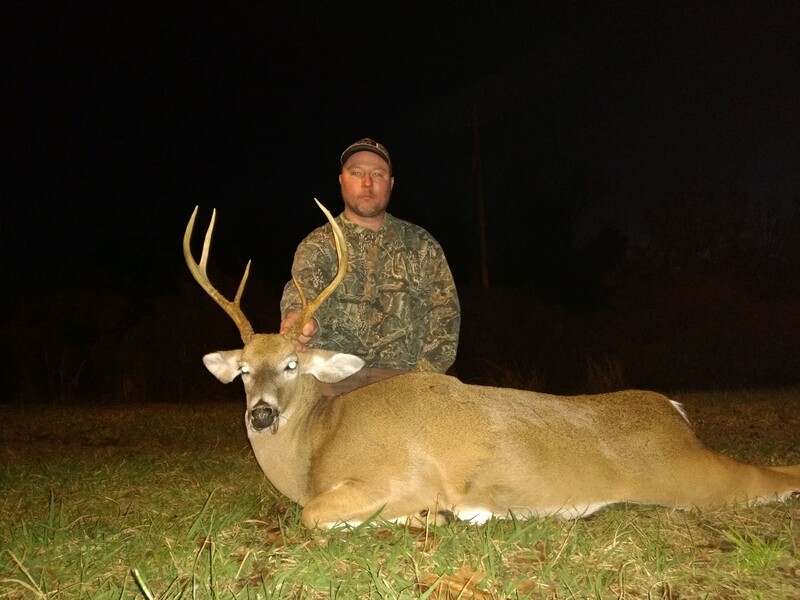 Congrat's Harold on a fine looking deer. Was he just out looking or with a doe? That's a big, old deer! That IS a big old deer, congrats. Any idea on age/weight. Thanks fellas.....I'll tell the story when I get back home to my computer. Gonna squeeze in an afternoon hunt at the club land since I'm already in the neighborhood. Last edited by CNC; 01/11/19 03:07 PM. The story on the buck………. I haven’t had any bucks at all in here this year…it’s been a really odd season. It’s been a doe sink for a number of years now but there’s usually at least some small bucks around or one decent on camera at night…..but this year there’s been absolutely nothing but does and fawns. A few days ago though, fresh rubs started showing up so I knew a buck had moved in like they usually do about his time of year. The afternoon I shot him was a really slow compared to what I’d normally been seeing even though the weather seemed perfect. It was getting dark and down to the last 20 minutes or so of shooting light. All that was on the field was a small spike and three does….Keep in mind I’ve been seeing anywhere from 12-20 does and little ones on just about every sit so I was just about ready to give up. There was only 5-10 minutes left before time to get down when a small 6 pt came out onto the field and started rubbing heads with the spike….That’s when the one I shot came out behind him and started doing the same thing. I had to wait for them all to separate and when they finally did I dropped the bigger 6 in his tracks. I don’t think we’ve gotten to the heat of rut yet here….it’s just the beginning stages when the bucks start squaring off with one another to establish dominance and see who’s the man….. I think the bucks that show up randomly like this on my place are subordinate bucks that get run off from somewhere else by more dominate bucks. 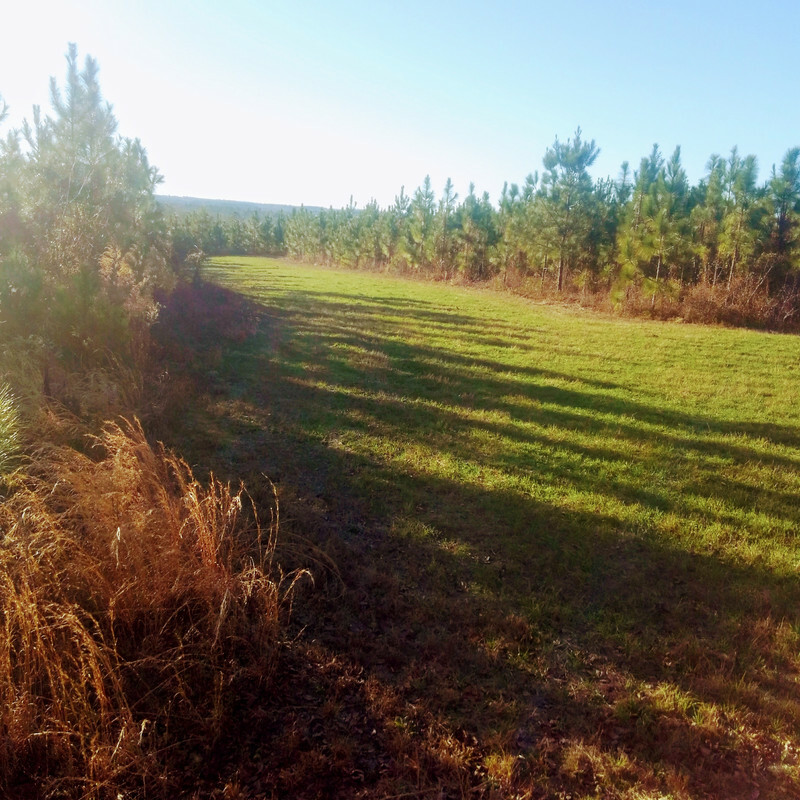 When they run across my honey hole of does and no other bucks around then they stop and set up shop in anticipation of all the does concentrated around my plot going into estrus soon….I fully expect more random bucks to still show up in the next week or two. It was actually great how it worked out being that only a few does were on the field when I shot. The rest of them don’t even know anything happened and likely weren’t spooked at all. They’ll probably be right back on the field drawing in me in another one. We'll see...…. Last edited by CNC; 01/12/19 07:57 AM. Awesome buck! Did Otis or Shelby take the pic? Thanks!....Otis and Shelby didn't even get to track this one. I've been really fortunate on the last several deer I've shot and they all hit the ground like a sack of taters. I hope that streak continues. After all the back slaps I've tracked though....it makes me nervous as hell after the shot when they just drop like that. Last edited by CNC; 01/12/19 09:29 PM. Nice deer Cnc! We did throw and mow this year in some fields that haven’t been planted in a few years, worked pretty good so thanks for all the info. If I wanted to plant something this spring to set up for another successful fall throw and mow what would you suggest? Question on throw and mow with clover stands. If I maintain a clover plot year round, can I just broadcast into standing clover in the fall? Or, do I need to let the clover/grass/weeds grow more so that there is good enough bio mass to mow? I thought about mowing once just after green up and then letting it go in order to generate enough BM. Never let your spouse leave the house horny or hungry, because their is always a whore with a sandwich out there. " I overseed all my clover plots every fall at about 3# per acre. Keeps me from completely redoing them after 5-7 years. Then of course the normal spraying and cutting and fertilizing. Has worked for 15 years. My throw and mow turnips were a huge success but sadly due to the acorn failure they were gone by early December.